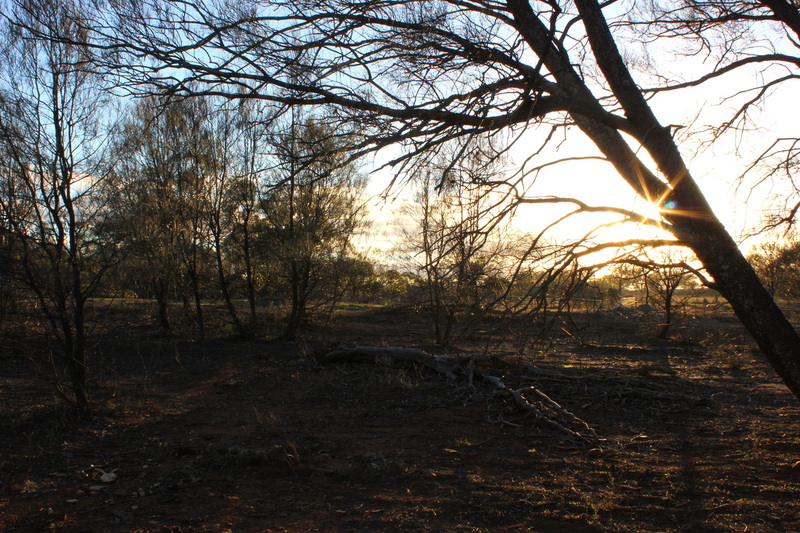 Bendleby Ranges is a combination of two adjoining properties 'Springs' and 'Gumdale' totalling 15,000 ha. 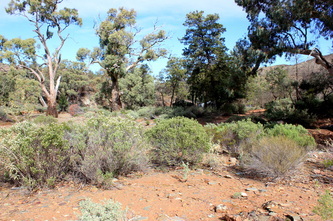 It is a private property, located around 50km from Orroroo in the Southern Flinders Ranges, SA. 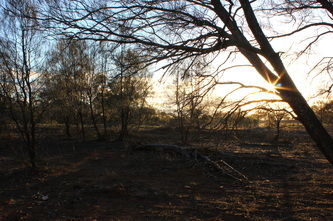 It takes at least 4 hours from Adelaide to reach the property, with the last 50km on unpaved roads. There are a range of accommodation choices offered by the property with the main focus being on camping, though there are cottages and Shearers Quarters accommodating everyone from a couple through to a large group. We did not go into any of those buildings, as our focus was on the whole camping experience! 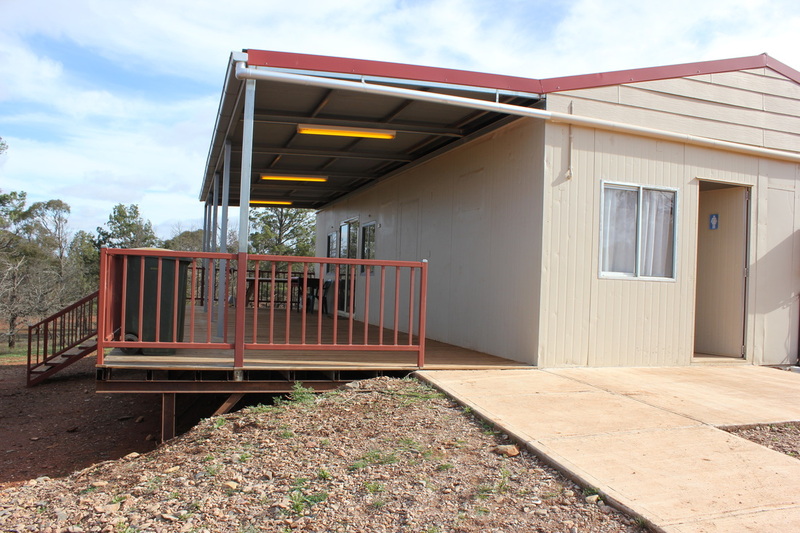 Arriving at the office, you will be provided with maps of the area, and information about the property (they also sell small supplies of bread/milk in case you run out, because its a trip and a bit back to Orroroo). Good to get local knowledge too about where to go when visiting and road conditions. To book your accommodation, you will need to visit the website found here. This will allow you to choose the type of accommodation and camping you want to do. 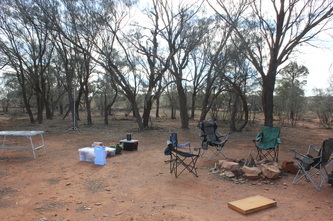 We chose the main campground (known as the Gumdale area) as we liked the idea of hot showers/toilets and a camp kitchen in weather that may prove to be cold and wet! 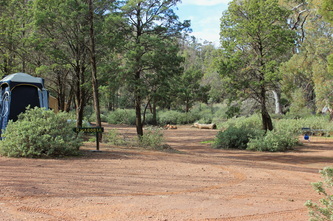 This campground is spread out and covers a very large area. The sites come with individual names to help guide you to the area assigned to you. Campsites Casuarina, Hill View, Sandalwood and Corner are in one area of the main camp, and are the furthest from the facilities (listed in detail below). 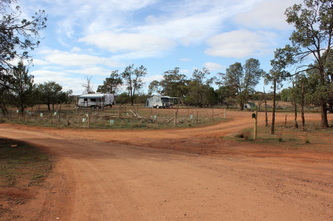 The rest of the campground comprises of around 9 other campsites but they are not clearly defined sites, and situated in a large paddock/open area. Shade and privacy at the sites varies but neither was great. In summer, you will definitely need to bring some protection from the sun! These campsites are the closest to the camp kitchen (with campsite Redbank being the one that is the longest walk away, and more subject to passing traffic to and from the driveway of the property). 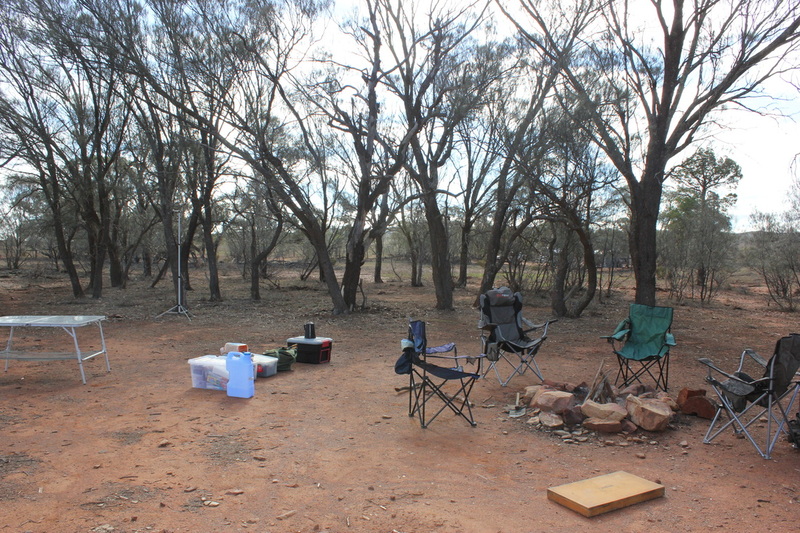 Some large groups were in the open part of the campground (this area is a firm favourite for for 4WD enthusiasts and groups), which allows the groups to camp closely with any camping set ups they have, and having that sort of space to spread out would be advantageous in a group. But if you were travelling alone, and wanted a more secluded area, I would make that clear at time of booking. Better to communicate what you are looking for in a camping location, than to have to move later on! 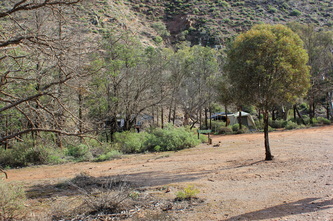 If you don't choose the main campground/accommodation area, a 15-20 minute drive within the property, takes you to more isolated camping locations, which are set within the Ranges themselves, with large hills surrounding the campsites, plenty of vegetation and a creek bed (dry when we were there). 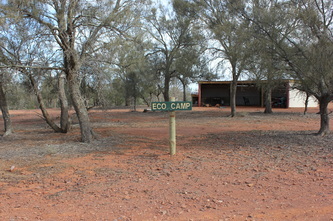 4WD is highly recommended to access these camps. 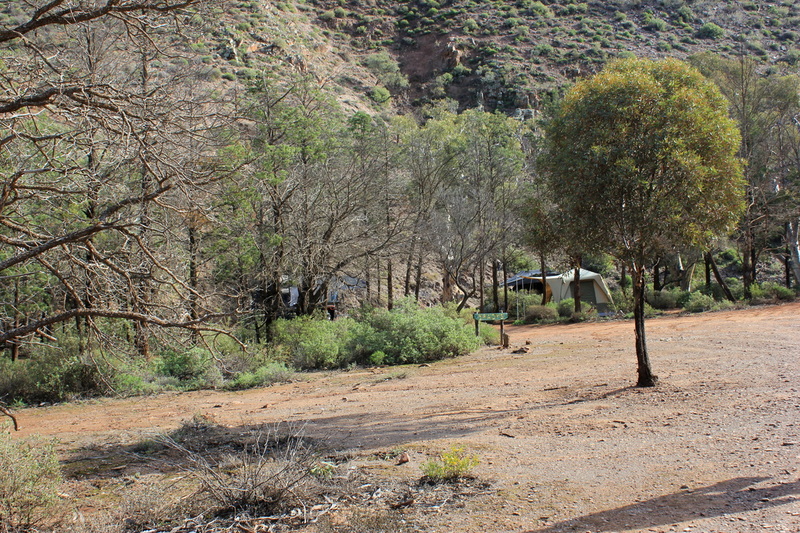 These campsites are spread out, private and what we imagined the whole of the camping area would be like. There are some campsites that would be suited to 1-2 camping families, and others which can hold a lot more campers, should you need to. But if you have booked a site with the owners, you won't have others booked in there too! We really loved this area for camping. 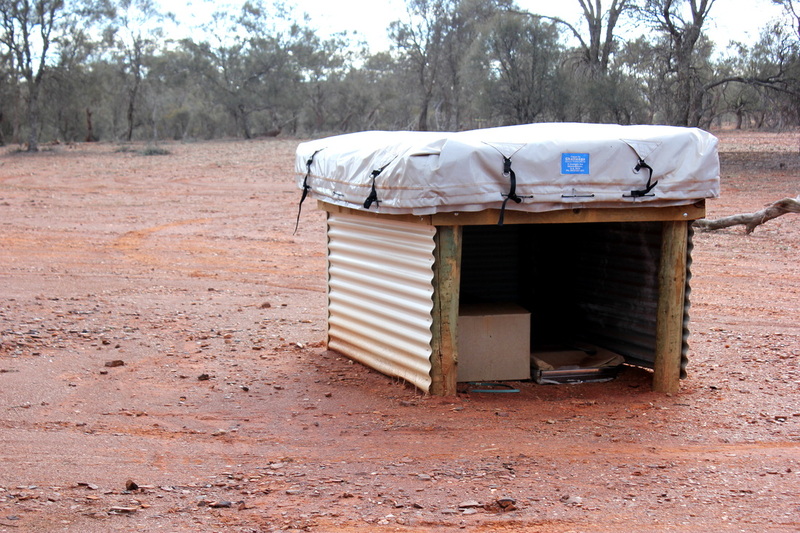 There are drop toilets provided at each campsite - looking pretty ancient, and not too fancy, but adequate! I think if water was flowing, it would be even better!! 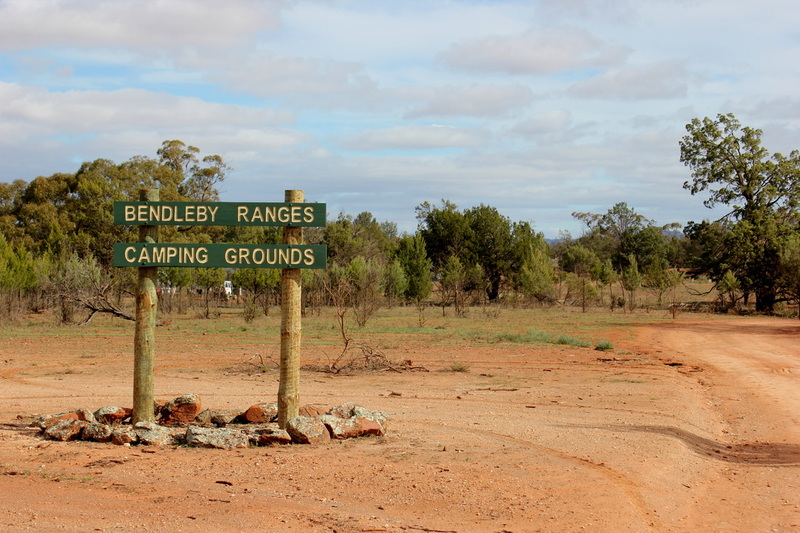 Bendleby Ranges also offer a service known as Easy Camp (close to the camp kitchen area) - designed for those who don't have all the camping gear, but want to try that lifestyle. More details on this option can be found at their website. 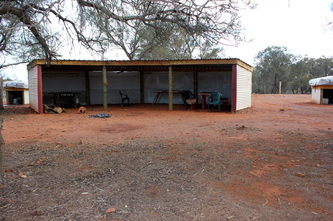 When we visited, no-one was using this set up, but can see that it might be an easy introduction to outdoor living, without having the cost of purchasing everything..
See the 3 photos below for a better idea of this Easy Camp. One of the most popular activities and the main reason why most people come to Bendleby appears to be the 4WD tracks. They have beginner to challenging, plus also have a training track near the office, if you want to practice your skills. The weekend we were there, every single vehicle was a 4WD. We didn't see any 2WDs. 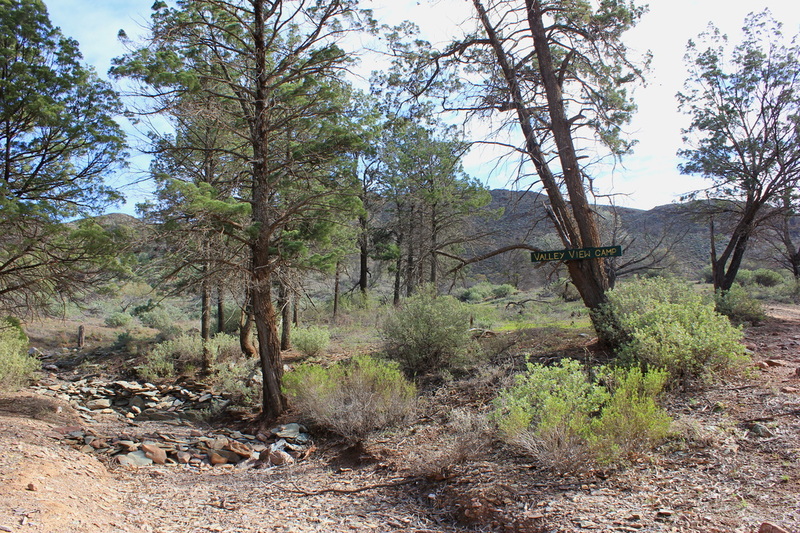 The roads into the property could be driven by a 2WD, but I don't think you could leave the main campground without a vehicle with a good clearance. 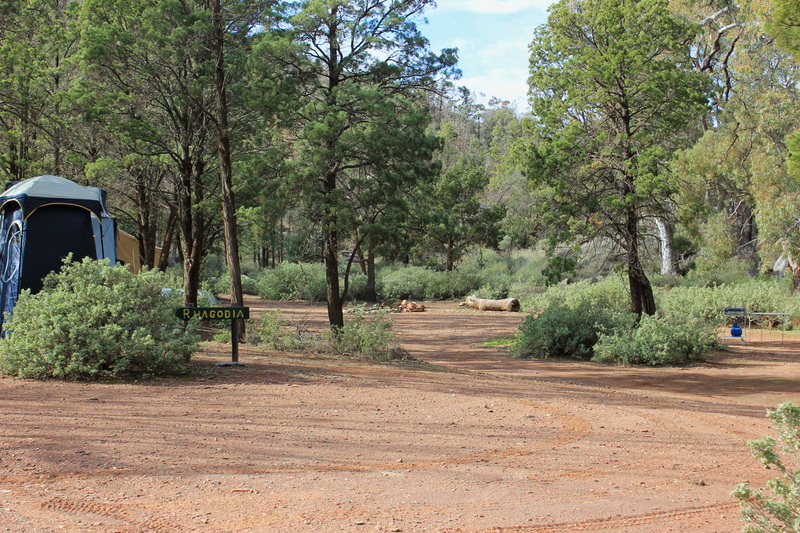 The more isolated campgrounds discussed earlier, would require a 4WD to access, especially if there had been rain. Another popular activity would be mountain bike riding. If you don't have your own bike, you can hire at the office. Large area where you can ride; some tracks would suit experienced riders only, but there are plenty that are suitable for all ages. The website mentions that there are 180km of tracks for cycling! If you are camping the facilities at Bendleby, are going to vary upon your location. As I discussed earlier, there is a camp kitchen which has a fridge, sinks, microwave and island bench for food preparation. Outside the kitchen, on the deck you can utilise the plastic chairs, kept inside, to sit outdoors. It is here where you can find bins and recycling point for bottles/cans. Also located in the same building, are male and female toilets. Each block has 2 showers and 2 toilets - all are clean and modern. There was a distinct septic smell on approach to the building, so keep that in mind when camping! There was another toilet/shower facility located not far from the office, and used primarily by 2 camp sites (only) nearby. 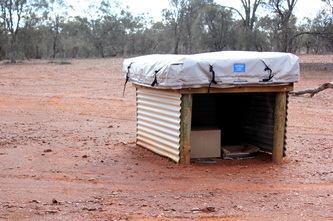 It was also used by those going out on a 4WD trek for the day. It was never busy, whereas the toilets near the camp kitchen, were in high demand! This facility is basically a tin shed, with 2 old showers and toilets, but seemed to be cleaned daily, and despite its appearance, was better than some other facilities we had seen at other campgrounds on our travels. 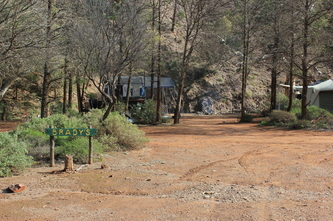 Part of the cost to stay here, includes the supply of firewood. The wood will be delivered to your nominated campsite, and should you run low, you can request more to be delivered. This great idea, prevents campers foraging around the campsite for wood, or bringing in your own. On a cold night in the Flinders, this is a much appreciated service. Overall, I think this is a lovely place to visit for a couple of nights or use as a stopover on the way up (or back) from the North. To appreciate the beauty of the area, you are going to need to venture further than the homestead and its surrounds, and get up in the hills, and see the majestic (and quite stark) beauty of the Southern Flinders Ranges.